We celebrated Alaina's 4th birthday yesterday! Where does the time go? I think now that she's getting to be older, and understands different holidays and celebrations, it's even more fun to share in her excitement. Before bed last night, she told us that 'today was the best day of my life!" I love-love that little girl! While I was working on a project, she came over to ask if I could make her a chocolate cake with pink icing and sprinkles, that she could hang in her little play kitchen. 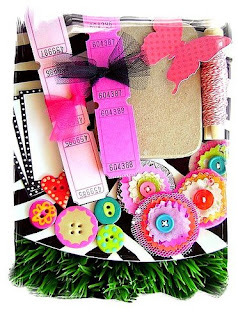 (Alaina truly believes her mom can make anything out of paper!) 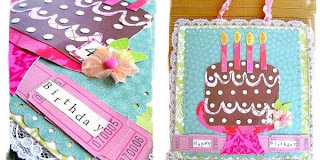 So we headed into the studio to gather up supplies, and I made a little birthday-cake wall hanging for her. She was so excited, she absolutely loves chocolate cake and sprinkles right now! It has a very 'Charlie and Lola'-ish feel, one of our favorite tv cartoons! I'm so in love with that show~ the music and the hand drawn characters!! I'm always inspired to make something every time we're able to watch an episode! I'd love to know what shows/movies inspire you to create! 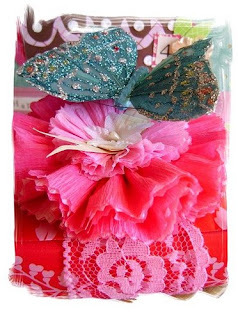 one more photo ~ of a little gift adorned with girly flowers and a sparkly butterfly~ I have entirely too much fun gift wrapping! Since the month of September is all about celebrating (birthdays and a new baby!) I though it was a perfect time to start something new for my blog! My first monthly-kit giveaway!! Blueberries, or rather all berries really, bring back summer memories at Grandma's house! Warm summer evenings are the perfect setting for serving berry-desserts, and who doesn't love sweet berry-muffins! 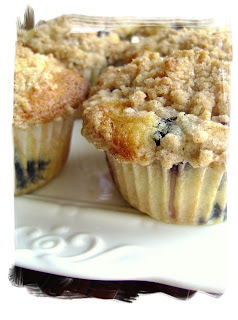 Blueberry muffins are always a hit in my home, and with a simple recipe, these muffins will surely impress your family! 4. Bake for 20 to 25 minutes in the preheated oven, or until done. Remove muffins to a wire rack, and let cool just a bit before serving. Why a pink couch? Who doesn't love the feeling of a big comfy couch to settle into and daydream about all of those creative projects waiting to be started?!! I really hope to create a warm & cozy 'living room couch' feel for this blog. 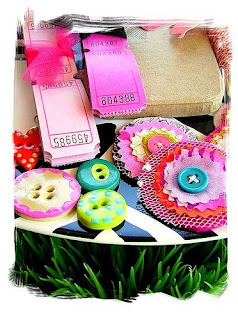 A place to drop in and find some crafty inspiration and maybe even a few tips and tricks for the inner domestic-goddess in us all!